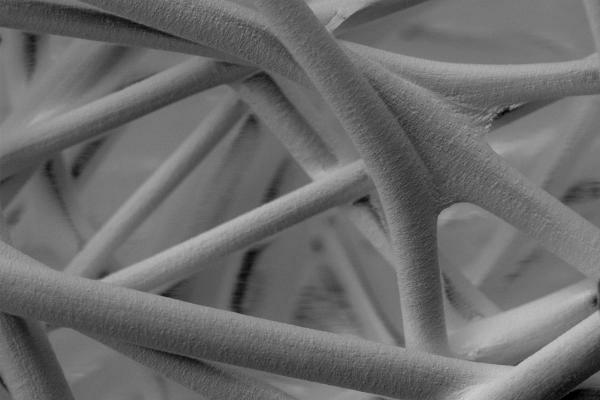 Constructed from Polyglycolic Acid:Trimethylene Carbonate (PGA:TMC), a medically proven biocompatible copolymer, GORE® SEAMGUARD® Reinforcement is composed of an intricate 3-dimensional matrix of open, highly interactive pores. Uniform, thin material. By adding a consistent, strong yet thin 0.40 mm reinforcement to the staple line, GORE® SEAMGUARD® Reinforcement mechanically increases the strength of the resection line by evenly distributing the staple pressure exerted on the tissue over a wider surface of area. Minimal inflammatory response. 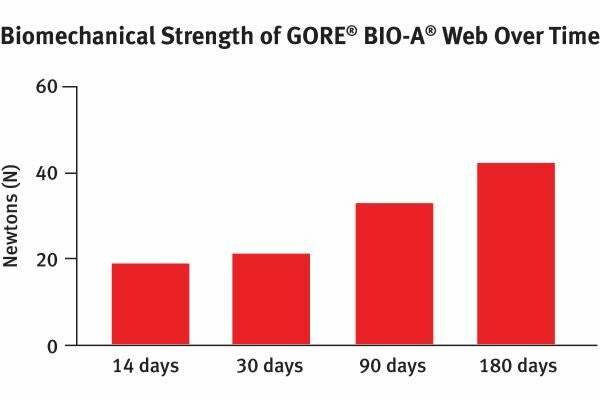 Compared to other buttressing materials, GORE® SEAMGUARD® Reinforcement has shown minimal tissue inflammatory response. 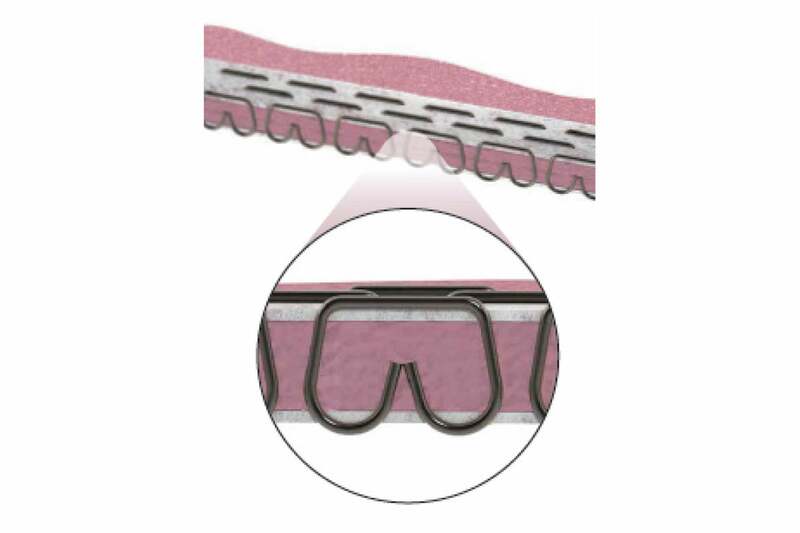 By adding a consistent, strong yet thin 0.40 mm reinforcement to the staple line, GORE® SEAMGUARD® Reinforcement mechanically increases the strength of the resection line by evenly distributing the staple pressure exerted on the tissue over a wider surface of area. Drawing is based on green staple leg length (4.1 mm) and reinforcement thickness (data on file). Staple formation may vary depending upon other factors. Serving as an effective scaffold, the pores successfully guide the regeneration of favorable type I collagen. 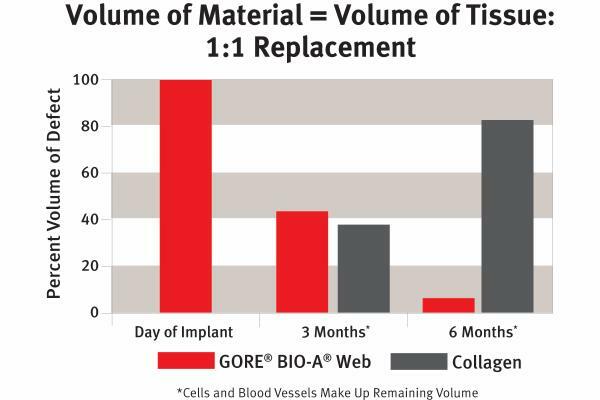 While providing added strength to the staple line during the critical healing process, this reinforcement is gradually and predictably absorbed, usually within six to seven months. The risk of a prolonged inflammatory response is eliminated. As the device is absorbed, it is replaced by native tissue. GORE® SEAMGUARD® Reinforcement provides strength during and beyond the critical wound healing time. Gogolewski S. Resorbable polymers for internal fixation. Clinical Materials 1992;10(1-2):13-20. Covidien. Endo GIA™ Reinforced Reload with Tri-Staple™ Technology. [Product Brochure]. New Haven, CT: Covidien; 2014. P140008-1. Ponce J, Fullum TM, McCrea C, Eng M. Histopathological Assessment of Staple Line Reinforcement Materials in a Porcine Model. Flagstaff, AZ: W. L. Gore & Associates, Inc; 2017. [Poster]. AV1250-EN2.